Oppo Supper. Making Excellent Steaks, Nerf Kronos, and Ford GT40... model. 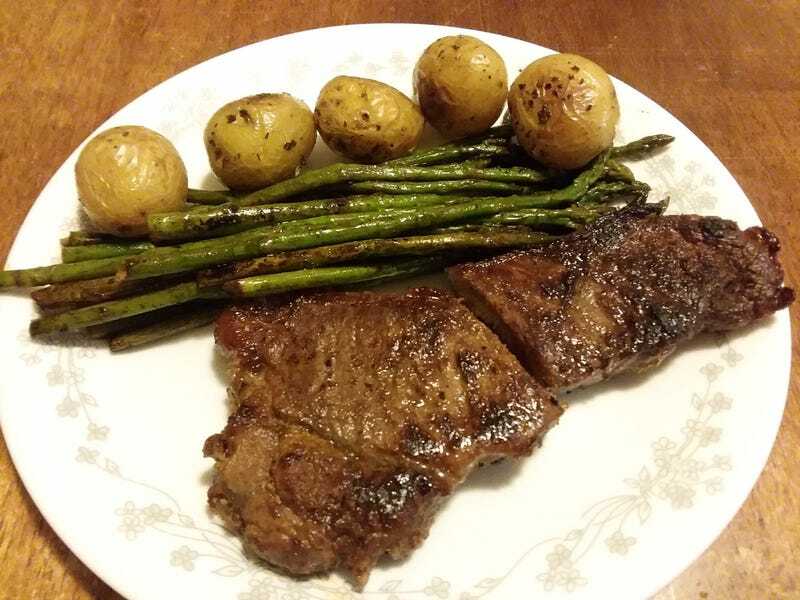 Made some juicy New York Strip steaks with asparagus and baby yellow potatoes. I sear the outside of the steaks then lower the heat and cover so the juices cook inside the meat and I don’t even need steak sauce. Shoots perfect, The spring gives the gun a kickback when firing and you pull the top back to load the gun. Shoots accurate for a ball of foam, much better than the traditional darts.Bigger than I thought, measures 12 inches... yeah!